Peoria (Arizona) is a major suburb of Phoenix and, as of 2010, home to a population of approximately 154,000. The town sits within a very picturesque setting of a flat sloping desert terrain on the one side in the Salt River Valley and extending into the mountain foothills on the other. Talking of ups and downs, the town has experienced a few of its own when, in 1917, a fire in the local pool hall managed to destroy most of the business district. In fact, the damage done to the buildings was so extensive it almost finished off the town for good. But an ill wind and all that; a new era of sturdy and attractive constructions grew up in their place and, coupled with the eagerness to reestablish businesses and WWI new enterprises, Peoria began to thrive once again. Let’s explore the best things to do in Peoria! The Rio Vista Community Park is a center that keeps everybody busy and entertained! 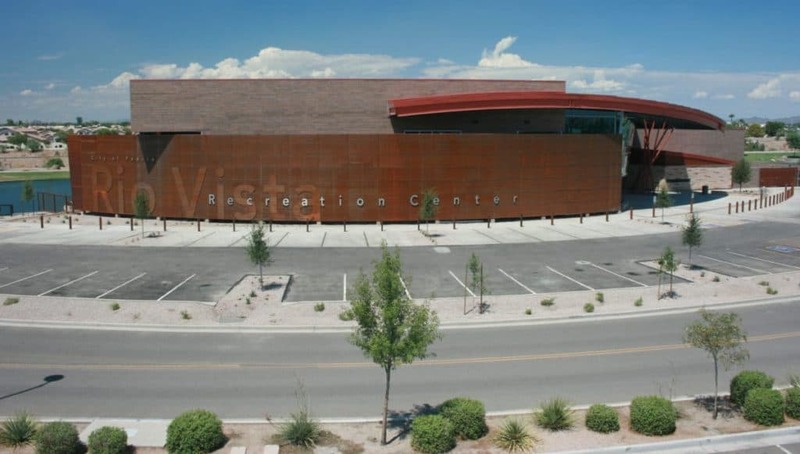 Within its grounds, the family friendly facility is home to indoor racquetball courts, a gym with a generous amount of equipment including weight machines of various loads, and a rather impressive rock climbing wall. Popular too with the younger members, are water sprinkler swings and monkey bars for the little monkeys in your family to swing from. The center is clean and very well maintained with attentive staff to answer any questions.